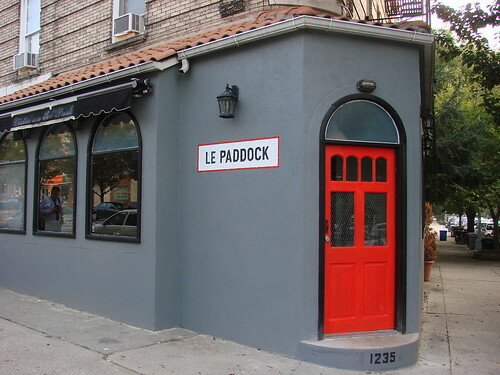 Blondie and Brownie: Le Paddock Opens in Windsor Terrace! Taking over the spot that previously housed neighborhood stalwart Laura's Gourmet, the place was already hopping. Open tables didn't stay open for long as Windsor Terraceans flocked to check the new spot out. The menu includes French classics like escargot and Soupe a l’ognion gratinee (French Onion Soup, baby!) and an assortment of thin crust pizzas made in their brick oven. Their formages are curated by Saxelby Cheesemongers. 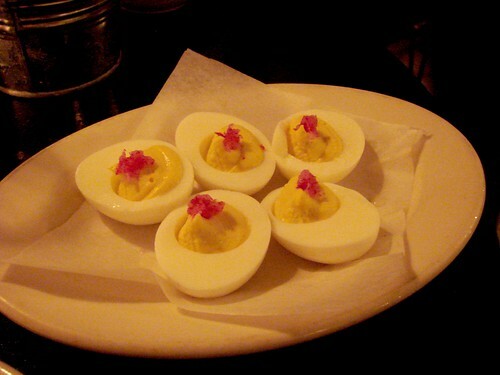 We tried their deviled eggs which had a nice mustardy kick. 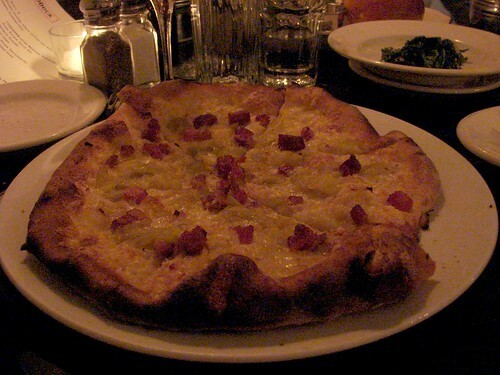 And their Flammenkuech, a traditional Alsatian tarte flambée (sort of like a French pizza) topped with leeks, gruyere and bacon. Nice thin crust. Ample perfectly melted gruyere cheese and, thick cut bacon with leeks. What's not to love? The food was delicious and I heard nothing but glowing praise from diners on their way out. They are still getting their footing with service and managing the kitchen, so we'll give them some time before paying a return visit to check out the rest of the menu. 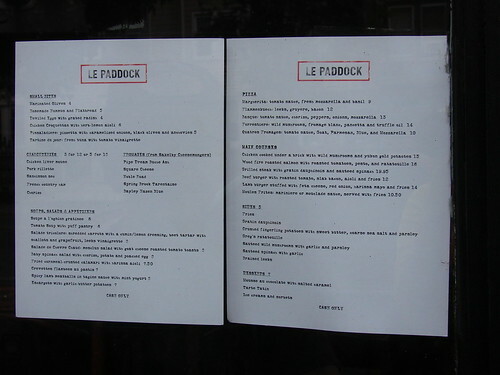 I really liked the food at the Le Paddock, but the looped music was too loud for the size of the room.